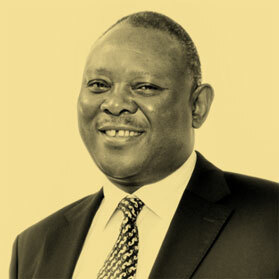 Community Investment Holdings (Pty) Ltd (CIH) was established in 1995 by Dr Anna Mokgokong and Joe Madungandaba; whose foresight, dynamism and entrepreneurial talents have enabled the company to move from its humble origins to a leading empowerment concern, with operations globally and in Southern Africa. Their passion and commitment to CIH is such that they have contributed immensely through their active involvement in the management of the businesses that CIH has acquired, by utilising strategic guidance, and not as passive players. This is why the company has grown in leaps and bounds within the last ten years and has achieved great milestones making it one of the eminent B-BBEE company’s in the country. Healthcare, ICT, Power & Energy, Logistics, Mining and Infrastructure. To be one of the countries’ pre-eminent Black Economic Empowerment sustainable companies. To make a noticeable difference to South Africa both economically and socially. To accomplish economic development by demonstrating entrepreneurship, resilience, integrity, diligence, and passion. To promote not just the interests of our stakeholders, but those of society too. To be global players. In a sense CIH is governed, not by the individuals who run it, but by the values those people have instilled in all of its operations which include: integrity; honesty; fairness; respect and modesty. 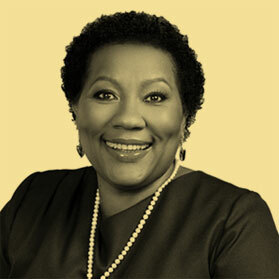 Community Investment Holdings (PTY)Ltd (CIH) was established in 1995 by Dr. Anna Mokgokong and Joe Madungandaba; whose foresight, dynamism and entrepreneurial talents have enabled the company to move from its humble origins to a leading empowerment concern. CIH is a 100% black owned company, women led company with a consolidated turnover in excess of R20 billion, diversified between Healthcare, ICT, Power & Energy, Logistics, Mining and Infrastructure development. From the onset the founders of CIH had one common mission and goal, and that was for CIH to be significant Black Empowerment players in the mainstream economy of South Africa. The company has achieved its initial goal and is currently in the second phase of its growth; which is a consolidation phase so as to leverage its assets to become significant players in the industries in which we have invested. As executives of CIH we are also committed as responsible corporate citizens in our country to make a difference in the communities in which we operate. © Community Investment Holdings 2019. All rights Reserved.